We shipped the Australis project with Firefox 29, but the Firefox team hasn’t stopped working on making Firefox the easiest browser to personalize. 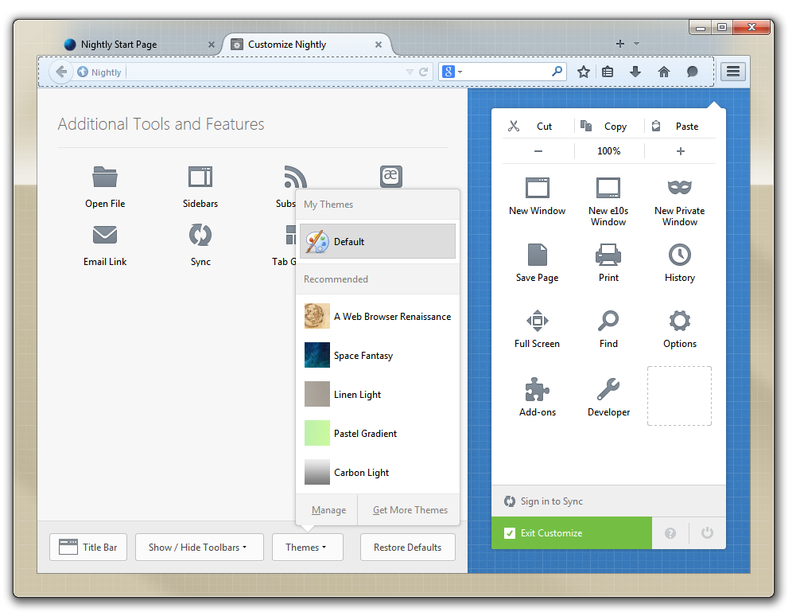 Firefox allows easy customizing through the new Customize mode, and now in Firefox Nightly people will find a quick and easy to way to set the theme of the browser. 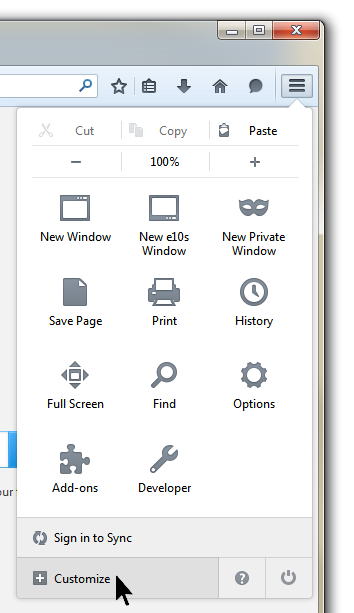 After entering Customize mode, a new menu is shown at the footer of the window. 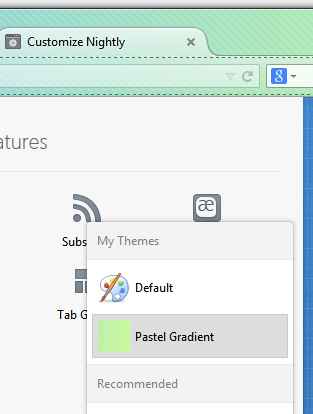 Clicking on this menu will show any installed themes as well as a list of five recommended themes. These recommended themes were picked from the Add-ons for Firefox website by members of the Firefox User Experience team. All of the themes are licensed through Creative Commons. Some are CC-BY and others are CC-BY-SA. Hovering over a theme in the menu will preview the appearance of the theme. Clicking on one of the themes will change the applied theme. We haven’t figured out yet what the rotation will be for recommended themes. Any input on how often or how we should go about putting together the next list is greatly appreciated. Full management of themes and add-ons is still available through the Add-ons Manager. Recommended themes that have not been applied will not show up in the Add-ons Manager. Once a recommended theme is applied, it will appear in the Add-ons Manager and can be uninstalled from there. Are there no more transparent themes in Nightly? Here are themes transparency don’t work – only full-color is to see but no transparency. This https://addons.mozilla.org/de/firefox/addon/simple-glass/?src=ss was working until a few months. « We knew unicorns could bounce, but now they spin?! You are currently reading New in Firefox Nightly: Recommended and easy theme switching through Customize mode at JAWS.